Becker's asked healthcare leaders to share their tips for hiring the best talent. Here are their responses, presented alphabetically. Our mission, to deliver compassion, extraordinary care every day, is driven through our commitment to patient and family-centered care. For those in patient-facing roles, we evaluate candidates not just on their skills and competencies, but how well they understand and are committed to patient and family-centered care. As we listen to a candidate's behavior-based answers, we look for the following: Does the candidate foster and encourage patient and family questions? Does the candidate actively solicit family wishes and preferences? And does the candidate engage with the family and take the time to be with and speak to the family and genuinely relate? The ability to attract, develop, engage and retain great talent is the only sustainable source of competitive advantage for organizations. Operational excellence is one of many principles. All areas within talent acquisition must be agile, aligned with and fluent in the current and future business strategies and understand how those strategies will impact workforce needs. Implementing and leveraging evidence-based predictive analytics and performance measures that support the bottom line to enable data-driven discussions about business issues, how to address them, and how to mitigate them before they become operational issues. 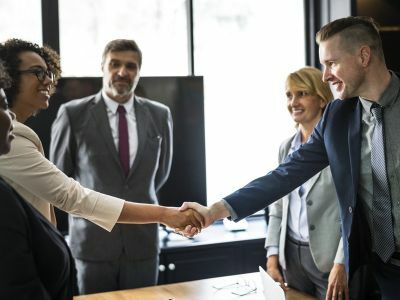 Understanding, aligning, and promoting the internal and external brand in a way that connects to employees and candidate’s expectations and values. Leveraging technology to build broader and long-term candidate relationships, to support critical programs, e.g., internal mobility, and managing changing assumptions. In an increasingly competitive market, a measurable and forward-thinking talent strategy is crucial for driving maximum value to the ever-changing needs of the business, candidate and patient or consumer. Successful recruitment is not a program or a formula. Attracting top talent starts with a philosophy that values employees from recruitment through retirement. We have a unique mission at AdventHealth: to heal our whole community by focusing on whole-person health — body, mind and spirit. It's a differentiator in not just how we deliver care, but our entire culture. That philosophy, combined with our dedication to clinical excellence, innovation and compassionate care, are key reasons why people are attracted to our organization. We have a robust recruitment process that uses various tools to screen applicants. But attracting and hiring top talent doesn't yield the results we want unless they stay with the organization for the long term. That's why we place great emphasis on team-member development — ranging from employee wellness programs to growth and education tools and opportunities. At Intermountain Healthcare, the most impactful practice we use to ensure we have the best talent is conducting thorough and effective "intake conversations." Intake conversations help the talent team member build a relationship with the hiring leader to identify what they are really looking for in a candidate. It's critical that healthcare leaders have a true partner who understands the demands placed upon them and their unit. Because of this, Intermountain's talent team places a high priority on frequently connecting in person, or over the phone, with our hiring leaders before they start a position search. These regular conversations allow the leader to identify what success looks like in the role, what skills, knowledge and abilities they are searching for, and how the role impacts the organizational mission. With these important aspects defined, the talent team member has the ability and background to source, attract and hire the best talent. "Interview days" at UCHealth are an effective way of hiring top talent for many departments, including medical assistants, call center representatives, nurses and certified nursing assistants, among others. Unlike an open house, Interview Day participants are prescreened via phone or video conference by a recruiter and are scheduled for an appointment to attend an Interview Day. During those days, candidates complete on-site testing (as required), a tour and one to two interviews with hiring managers and/or staff members. Some interview days also include a 30-minute to two-hour job shadow. At UCHealth, job shadowing is utilized for several positions, including call center representatives and operating room nurses. Candidates appreciate being able to observe firsthand the responsibilities of a position, especially if they have never worked in a similar environment. After shadowing, candidates are invited to give their impressions and ask questions about the experience. Sometimes, candidates will self-select out of the process if they feel the job is not the right fit. Upon completion of testing, interviews and activities, selected candidates are offered a job at the Interview Day. Same-day job offers convey the great enthusiasm UCHealth has for new team members. In departments that have been utilizing Interview Days for 12 or more months, UCHealth has seen an average 5 percent decrease in turnover, indicating improved hiring practices for these departments.